Dishwasher rinse agent, that was all it took to make me decide it was time to start this blog back. You’d think all the crazy politics and outcomes would have been enough to make me sit my dainty self down and write a few musings of mirth and bitterness, nope. It was a bottle of rinse agent for my stainless steel dishwasher that made me shuck all my responsibilities and head to the computer and risk the loneliness of no one reading my stuff. But again, I can be as narcissistic as anyone. Who cares if no one reads my words? I’m happy to share anyway. I don’t do this for a living, but I think I can hook a few followers with not much effort, because this land is searching, searching for some solid ground, searching for some sanity, searching for some wisdom, searching for some reassurance, searching for some ( dare I say it) hope, and in my case, searching for the Mr. Clean scrubbers under my kitchen sink. Yep, this has to be the first blog that incorporates pretty much everything, including the kitchen sink. I’m flawed. Yes, I admit it. I have a weakness for cleaning products. I rarely use them but by Golly, I have my share. So when, last night, at the grocery store, my husband grabbed the large size rinse agent, I knew we might be in trouble. I instantly ran a mental check of the under sink drawer and thought , “Ok, it will fit.” Being agreeable at the grocery store was more important than saying, “Hey, put that back and get the smaller size that cost much more per ounce.” I mean, you have to let the man have his way, some time. Rinse agents are not that big of a sacrifice to maintain a lovely relationship. Because, let’s face it, friends, it is Christmastime, and if he wants to get the big size diamond at the jewelry store, who am I to have busted his bubble over an economy sized rinse agent purchase? I’d sure hate for him to have my caution and criticism, ringing in his ears, when size really does matter. Upon returning home, I left grocery organization to him. I was under quite a bit of pressure to finish my Goodreads yearly challenge. What in the heck was I thinking when I signed up to read 40 books in one year? I was electronically page turning as fast as these reading glasses would let me, Bruce Springsteen’s autobiographical work, “Born to Run.” Whoa, I mean to tell you that man can talk up a blue streak. Over five hundred d@mn pages and I needed to get through his book and another to meet my goal. When I downloaded it in a hurry because I thought, well, he is a rock star, surely, this will go fast, because most rock stars only know how to live fast lives. But of course, I had assumed incorrectly, this man was not in a hurry. God, was I ever wrong. Evidently, it took him seven years to write the book and 63 years to live it. Bruce, my friend, I’m from the South and we are known for talking , sometimes even talking very slowly, but Babe, you needed an editor, one with a mean set of scissors. Well, back to the rinse agent, my sweet husband must have experienced organizational shock when he placed the bottle in the cabinet. His reflexes are more the type, where he can be painting a house and decide, hum, this ladder is falling, but I can jump quicker than it can fall, so I’m going to decide which angle to head as not to be hit with this aluminum stairway to heaven. What he lacks in reflexes, he makes up with logic. The man is a legal eagle for a reason. His rinse agent placement allowed the cabinet doors to shut. In his mind, job well done. Three years ago we remodeled the kitchen and we splurged an a few things. My favorite was a touch water faucet. Ohhhhh, maaann, it is a dream. Forget fast cars and fancy designer handbags, you want to live the good life, get a touch water faucet. So, I knew this morning when my light touch didn’t turn the water off, something was going to require my cleaning and removal skills. Oh, so right on that one thought. I spent the morning clearing out my useful-yet lightly used cleaning products, collection. Gone was the grout cleaner. Dispersed the two types of window cleaner, an old stand by and a modern foam glass cleaner that is awesome. Upstairs now has a whole new aisle of interesting cleaning joy, a cleaning products museum, one could say. Next up on my projects list, a Bill Bryson type exposé of the history of cleaning products and how not to use them. Goodreads, I’m gonna say we can put that page count in around ummm, 450 pages. Book of the year, reserve your copy now. Which brings me to my musing, and reason for this blog post. How can our President Elect, actually run this country on 450 characters a tweet? Isn’t that just plain crazy? He tweets a pootin’ 125 character ‘nothing but a threat’ to a major air craft manufacturer, and their stocks go down mega points; I’m ticked, bet they are livid. Wonder if they could use some window cleaner to see through the crud we are witnessing? I have some I’ll share, but they are going to have to provide the jobs, I don’t do windows. Have you ever hoped you would receive a second chance? A chance to explain the things you meant to say instead of what you said? Another chance to hear that laughter that helped you as you grew into the person you are now from those who loved you most? Have you ever wished you had a second chance to reach for your dreams? How about trying to grasp that second chance to show someone how kind you are? Nothing stops a second chance faster than a shallow person who refuses to let you spread your wings and soar. They want to hold the little slight you may have committed , and feed the resentment and stroke the wronged feeling , and milk it for whatever it is worth. Nothing makes for such a petty person than that kind. Someone can act haughty and privileged and rude, yet if you respond, wham, you are the bad person. How do you treat those people? The ones who nurse their slights? Who show you who they are and who they will put up with, even if that person was unkind to begin with. Do you turn the other cheek? Do you let them play their little games ? Do you even try to care about those selfish people? My experience says, those people don’t get life. They have never had a problem in their life they had to be accountable for. They are shallow and only care about the makeup of hiding true character. They lived a spoiled and sheltered life. I’m not naming names because that would be disloyal. It would be unkind. No one deserves to have their unforgiving nature exposed for all to see. We’ve all fallen short of our best selves. Hard work. Hard work, indeed, to overcome the times someone reacted in truth and the response hurt. It is completely normal, for the one who harbors and nourishes their resentments, to share those feelings to get a phoney pat on the back. The sad part is when they are so blind, they don’t see insincerity. Reactions, to someone being rude, are a waste of time. The real second chances should be to return to the goodness when it has been touched by time and nature. We lose people; we want them back. We long to hear that voice or touch that hand that held yours when you needed it most, or played the music of your life. We want to touch again the person who left us for a better form of the universal love or light. But they gave us something. They gave us hope. Hope that when we finally give second chances, we get second chances. Sometimes, second chances are all we have. Give them. Give them freely. It feels better. It cleanses the soul. It gives strength. It gives hope. There are so many differences we are bombarded with each day. Every event requires us to have an opinion, a viewpoint, a box to stand on and preach. Sometimes we go too far, just like when we let our political divisions push us into a endless swirling eddy. We need to stop. We need to throw our life lines and give people second chances. Nothing is so valuable that you can’t find a better way to be, and do. Do good. Do kindness. Do forgiveness. Do second chances. Live for being the one who gives more second chances than anyone. Sometimes being the doormat, allows others to grow. No, you can never really be a doormat when you give second chances, it will not hurt you to give someone a second chance. Accept second chances; accepting second chances exposes the sweet side of life. The constant fever of society wanes when we accept second chances. It has been awhile since I preached one of my little sermonettes. It feels good to start back these little blog moments. My second chance to do this blog again, maybe I can do it better. Wonder if someone will give it a second chance? Not those automatic weirdo responders, but I hope a real person looking for a second chance or an opportunity to give a second chance finds my musings entertaining, or useful, or simply thought provoking. Try to do the second chances idea and let me know how it goes. Look for the opportunity to see the need for a second chance. Long time no see, friends! Life has been hectic and crazy. Lots of stuff from the mundane to the marvelous with little bits of everything in between. Sound like a normal life, it is. There is no greater pleasure than to live the boring life. My ultimate goal, always. Save up the moments of boring and cash them in for exciting. I probably shouldn’t write boring twice in one paragraph; surely that violates some writer’s rule some where, but you know me, I really don’t follow writer’s rules. If real writers and editors want to come on over here and run my Dyson vacuum cleaner and use my swify duster, then they can describe my life in fascinating ways. Till then, I’m boss. Being Boss is beautiful. I am at that stage in life where I don’t have to explain myself to anyone, except my startled children and husband on occasion. But even then, nah, not so much. There are benefits to having a simplified life. For instance today, the threat of rain, kept me busy. I had no reason to jump up and run a mile or two , nothing keeping me from reading Dan Brown’s book, Digital Fortress, (why in heaven’s name did he write such a doofus book), clearly old geezers hitting on young, smart chicks amuses him for some dull and boring reason. Not to do a book report here, but we are discussing the value of boring and Dan Brown managed to get paid for his ennui. I have about 50 pages to go before I finish and can write a scathing GoodReads critique. Oh the joy, I’m planning on laying it on thick, when I’m bored enough to take the time to relive the boredom. I just noticed my iPad is bored because it wouldn’t define boredom. Shouldn’t we all be so lucky if only Trump were to get bored and drop his disastrous run at the highest office in the land? Which bring me to politics. Have you ever seen such a mess? I don’t have enough empty memory on my computer to write all the crazy in the campaign world, which is probably alright since every pea brain with a fingertip and an electronic device has typed enough heated opinion pieces to fill a gaseous cyber cloud. Lord only knows, how our lifes will be changed by all the fumes. We only thought second hand cigarette smoke caused cancer or fertility problems. Count your fingers now because all this political puffin stuff , is going to create future generations of digits upon digits , branch style prehensile organs, except those of Trump followers, who already adore tiny hands. I never thought in all my born days, hand size would be a presidential topic. I bored already, but that crazy image of Marco Rubio giggling about Trump’s tiny whatevers, does make me squint my eyes and clamp my jaws shut in disbelief. He actually thought that through and concluded it was a winner of a press moment. And he was a fancy pants prosecutor or legal whiz of some sort? I’ve wasted my life. Oh and to bring all the politics back to local, here in Alabama, the Speaker of the House was convicted of violating ethics rules, which he wrote, the Luv Gov is dealing with those that want him to resign or spend a good part of his retirement years in the pokie for is love stuff affair with his campaign / office/ advisor / prayer partner with breasts ( his words not mine), and the ever more Judge Roy Moore, yet again putting asunder what the Supreme Court decided, and facing removal of office for the second time. Pecans are a cash crop in this state but our political nuts are more delicious and gourmet. Boredom is an ok state of mind. Learn to embrace it. People who can’t swallow a few moments of boredom do things, like create computers, or design spacecraft, or dredge coastal lands, or create solar powered cars. But scary things can happen when boredom takes hold of thin skinned yams and they can’t handle it, they think they can solve the world’s problems. I’m here for ya, you ever have a bored moment you don’t know what to do with it, just message me. I can talk you right out of that despair. My driveway needs spray washed. I could use a good yard man. I have some clothes that needs ironing. I have some wedding photos that need to be uploaded to Shutterfly and made into cute little books. My closet needs to be remodeled. And I’m sure there are some lightbulbs that need to be replaced somewhere around here; I’m just too bored to go check. Ahhhh, living the good life. Nothing better. Still learning after all these years. With the Princess away at college and the almost empty nest, I thought I’d learn new things. I took an online course from the University of Edinburgh and got an A; Warhol is one master of marketing, and I’ll leave the rest to your imagination. I planned to take the nanotechnology course and the make a solar panel with a graham cracker size pieces of cardboard and some nail polish, but those are going to have to wait. Seems my extraordinary, impatient skills at roommate interpretation and mediation are in need of some use. For those who don’t recall, I was actually a roommate for years before I even went to college since I was a student at a great Fine Arts school while in High School. Granted, I went home on the weekends, from the big city in Alabama, where they loved the governor, and rejoined with the amazing masses of other high school students looking for activities in our small town of Muscle Shoals. It was the equivalent of living a double life, boarding school during the week and home to my own bed on weekends. You’d find my blue Datsun 280 , borrowed from my Mom, right there at the main attraction provide, so graciously, for teens by corporate America… McDonalds. Thank goodness this was before the arrival of Walmart. From my Fine Arts days, I learned many things from roommates, like for instance , fortunately, what a short-term mild case of Bell’s Palsy looks like and how it can affect your roommates demeanor when she is unable to close her eye at night. I learned how some kids use the piano benches for more than practicing their scales. I learned how being on a college campus as a high-schooler gets the only the cutest of girls invited to Frat parties (thank Goodness that was not my experience), and I learned if your roommate is a dance major and is vain, she is going to choose to protect her feet at all costs and forgo the “jatays” or whatevers so she can become a “foot” model. True story. She is now a very famous foot model. If she’d stayed in dance, she would have had feet like a cross between bigfoot and a zesty looking brain coral, a very disturbing combo to say the least. However, in all honesty, I think that foot observation qualities me to give some roommate advice. Nay not yet, you say. Well, okaydokie, I’ll try again; I’ll add a freshman roommate story to bolster my case. Not everyone walks in after a few at Pizza-by-Candlelight , affectionately known as P-by-C and, promptly sees three nuns sitting on their bed at a Presbyterian affiliated college named for a saint. They were trying to talk my roommate, who was literally praying in the closet, to physically come out, as in turn the knob and walk out of the tiny enclosure. This was before the discussion of gender acceptance, it had nothing to do who her sexual identity, it had to do with her wanting to be a nun instead of a college freshman. She left after her first “D” on a paper. It was all complicated. I later figured she and I were placed together based on our college essays. She actually thought and wrote about death and the afterlife, mine was the one I composed because I thought it the most humorous from the prompts offered that year by Ivy League schools, “What would you want your obituary to say about you.” No L=I=E. Anyhoo, I was too lazy to retype the thing because there were no computers to edit the texts. Fortunately, my Mom came to the rescue again. She was a real secretary and had access to office machines at the time which consisted of huge copiers and memo graph machines. Otherwise, I would have sent in a hand scrawled version. Hummm, come to think of it, I think I did send a hand written version with my best cursive to my top choices. I recall having to rewrite it repeatedly until I had transcribed it with no mistakes, thus another reason to only have one “writing” sample. I felt if my future “obit” was good enough for Harvard, it was good enough for all the other schools. Funny, but it worked. I never stressed the small stuff even before Richard Carlson made his millions with such erudite advice. Which brings me to my new role as roommate counselor… We have trained these brilliant, young minds to do just about anything from derivatives to definitive analysis of Proust, but somehow we parents failed at sharing, washing dishes and taking out the recycling. Seems it is not a “beer guzzling , walk of shame” basic roommate disagreement today at the upper levels of the institutions of higher learning that are vexing our little prophets of the future, it is the stuff they should have learned in preschool that seems to be getting in the way of maturity. In our efforts to make our girls strong, we forgot to say kindness counts. Forgiveness matters. It doesn’t have to be big banner events that raises tons of charity bucks for all to hype, it matters in the way of simple things. As, I overheard one of my little kindergarten friends brag the other day to her older sister,”Guess what? I was called to “the” principal’s office. Seems I earned the “Got Caught Doing Something Kind Star” for helping Ansley Ann clean up her spilled milk.” Well, there you go! Helping someone out does get noticed and appreciated. Enough to this blog…However, to the one roommate who uses an excessive amount of toilet paper, what is up with that? I bought a Sam’s size 48 rolls just to get you from bewitching at my daughter because you already used up the rolls you bought. I say let the market set the price. I told the Princess to charge the aforementioned roommate 4$ a roll and maybe that would curb the usage. Better yet, do what Eva, the maid at my college of years ago, would do. Flatten the roll so only three sheets roll off at a time. That might be the sweetest way to handle it. Who needs a dry erase to be passive aggressive? Obviously, this younger set of ladies has a thing or two to learn from their more experienced elders. I want to send a greeting out to my readers in Taiwan. What in the world must you think of my Southern stories? I hope you all are happily married to the one you chose and someone else didn’t select your spouse for you. In my little Provence of a neighborhood, everyone picks their own spouse unless the CEO’s of a couple of old line local industries wants to enhance the bottom line. Which brings me to today’s topic. You know I mentioned just yesterday that having a double identity and double family was not cool. I chided ESPN for trying to make it a sentimental moment of inspiration. But what to my wondering eyes did appear just minutes ago on AL.com? Another version of a dual fuel home range. Yes, another case of a guy having two wives and living the un-examined life. This time, it wasn’t a High School football winning ESPN smooth talking coach but a poor Black man with two wives who found out about each other and decided to recoup some power, join forces and put this man in the light of day. No silly women taking the indignities of a few congressmen saying smartish things about their weight and hiding it in a few sentences in a tell all book, like Kirsten Gillibrand. No, these brave gals, went right to law enforcement. They didn’t care if their man made it on E:60 on ESPN, they wanted their pound of flesh. I figure Mrs. Gillibrand wants her pounds of money. Honey Dumplins, call me porky, call me chubby, call me plump, it doesn’t matter one bit to me. However, I would draw the line at having another spouse, as we all should. Two is too much, except when you are talking about scoops of ice-cream. As usual, Washington gets it wrong when trying to show how insulted they can be by different parties. Some how being insulted about your appearance seems mighty small and petty of them when we are have to consider raving lunatics beheading people. Can’t y’all elected officials return from your five week vacay and get some real work done and leave the petty stuff in the closets? I don’t care if a female got called pudgy as Porky Pig. I care about more important things like making this country united again. I’d originally planned to write my second little relationship blog about the Federal Judge who got arrested for beating up on his wife. I still plan to get all into that nest of psycobubblebabblerabble but I felt I need to strike, and I recognize that is an unfortunate choice of words, but it seemed perfect, while the AL.com story was still up and available. Knowing the caliber of their journalistic power, I figured it would be lost in the real important news of the day… Texas A&M beat the stew out of South Carolina last night. My two cents on that outcome….South Carolina was weak. No Gumption. Guess they need to quite watching all the hype on ESPN and hit the weight training room before they get all pudgy. I’m hoping Texas A&M is feeling all full of themselves because they deserve to celebrate. I hope it goes to their pin pointed heads cause despite what the gamecocks gave them last night, there are several SEC teams waiting to bust their bubbles. Roll Tide and a little war eagle. Cuttin it short tonight . Got to go eat dinner with the Hubby, my one and only. Who really wants to hear the good stuff? I’m all in for the shake your head kind of story that makes me glad I am who I am, and live the life I live. So imagine my sinful delight when I walked into the kitchen while my husband was watching anything on ESPN that resembled SEC football. The season hasn’t started yet it is like 31 days away but who has time for details? HE, not me, was watching a story on E:60 about a high school coach in Birmingham who led a double life. When I say, details, well actually, the coach lived in Hoover, Alabama (Think Friday Night Lights-which I never watched.) When I say double life, the man had a double live, and to add a bit more detail, a double family! Who does that? For the sake of details, I came in halfway into the show and have yet to see the first half. But who cares about details. I think this show/story is probably better to watch that way, halfway over. It gives you the feel of how the man literally, left out the details of his responsibilities for his first family. Will someone give me a soapbox to stand on as I write my disbelief of the absolute, shameless audacity of this man? I remember when the story broke in the local paper a few years ago and the outrage the community felt about his total betrayal. He betrayed his wife, three kids, his hoochie coochie and his/her three kids, his school, his community, his players, his church, his everything. Now he gets to be on EA:60 as a story of inspiration and how to choose your spouse “who feeds you through a straw” while you recover from throat cancer. Details, I guess it is all in the details. But them there’s some mighty big details. Never in my married life have I ever felt I chose the wrong man. I might have gotten aggravated at my spouse a time or two, but he has had more reason to be put out with me than I with him. We might not be perfect, but, there goes those pesky is details again, we have stayed faithful. Even on the few worst days of the any unblissful discord we might have encountered, I am sure the man has never created a complete ‘notather family to run off to and goggly goo over. I’d know, cause I have a pretty good sense of smell and you can’t ignore baby spit up on button-down shirts. Especially, if like the coach on ESPN:60 , Rush Probst who had not one but three ‘other family’ kids, if you are the second woman of the day, you gonna smell something. Good golly Miss Molly? Is this man a slow learner or what? There is a little, legal thingy way to handle urgings of the fleshy kind, divorce. In fact, there is a former hit that even spells it out for the limited in moral character, D-I-V-O-R-C-E by Tammy Wynette. Is it necessary for me to say to the ESPN folks looking for a way to fill air time, ‘good job’, ‘that a way to make a flawed man look ….ummm flawed?’ Details means something different to EA:60 than to the rest of us. To them it’s like thyme is to time, a little bit close, the words both start with the letter ‘T’, but should we question the broad stroke way to memorialize a wife/family cheater by using soothing music and scenes of the two cheaters holding hands as they run off the football field to the locker rooms where young men are awaiting their words of wisdom on how to life a decent life after a disappointing loss? ESPN, guess what? We get to judge you for your ridiculous TV family counseling show. Cheater man, have some dignity, go ride horses into the sunset or do something useful like build solar powered wind mills that might provide electricity for those without that modern convenience in Africa. Do something better than try and convince those of us who might think your choices are just plain crude and selfish, that we must change our opinion of you because you can be a good high school football coach. My advice, if you were to find yourself in a relationship you are sure is true love and it comes with the entanglements of another whole family the cheater won’t give up, don’t. Just that simple….Don’t. Don’t go there, it ain’t gonna be good. If you don’t believe me watch the show. The only ones who deserve to have some dignity in this family drama are the kids and the first wife. I’m saying it. She at least had the good sense not to go on ESPN and share her tale of woe….at least not in the second half of the program, but that is a pesky little detail no one really wants to hear. Hey fans, pals, nutty people and all the rest, I’m up an blogging today! Gotta say it’s been a wild time since I last shared a moment in the slice of the life of a regular Mom who is waiting for the chicks to move to the next phase of life. Let’s see the eldest offspring graduated law school, the youngest developed Type I Diabetes, and I gained a few pounds in all the excitement. Nuff about me. Let’s move on the the quirky nuts and bolts of something that might amuse or enlighten you. I decided to open the old WordPress blog up to respond to a particularly sad little nut who dropped a acorn of drivel in my email box. Evidently two, get that now, two years ago, in the heat of the Presidential Campaign, I typed a little ditty about our former Governor gettin’; a little vacay from his prison sentence to go the the Democratic Convention by a Republican Judge. Some little pecan got her shell all cracked and decided to send me a heated, little, testy email yesterday for something I wrote 2 years ago. God, I loved it. gives him (or her) some sort of credibility. Yet the article is nothing but invective. doesn’t even know how to spell “sleazeball” right. substitute for facts, at least spell correctly! Woe is me, I left out the space between the words and used an extra “e” because it looked funnier than the “a.” Honey nut, I get to do those kinda things because I’m “arighting”(hahaha, I love how that looks) for me and my amusement! I invite the nutty buddy to try and get past the apparent alphabetical assimilation of various consonants and vowels and move on to the the real facts. As my old blog included, the newspaper article and video of the man himself saying what happened. Take it up with him, or with the jury that convicted him and appeals courts that agreed with their decision. They know more about it than I do and they have the transcripts. I’m just a person who lives in this state and is embarrassed and ashamed that someone like Don Siegelman sold out us citizens for a shiny motorcycle. He is one of the reasons why the Democratic Party in Alabama is in such the shape as it is now. Now I do have to say, I love the bitter nut’s use of the word invective. Grammar lesson for the day..
insulting, abusive, or highly critical language. You are darn right, little peanut, I am critical of politicians and elected officials who use money and power inappropriately. Thank-you for seeing the beauty in my words. Look, I wasn’t born yesterday, I have a pretty good idea who the tiny kernel is who sent me the comment and who was upset with my old post. It doesn’t take a genius to figure it out. However, a person who is excessively interested in or enthusiastic about a specified thing with obsession, needs to get a new perspective and a new interest. Trust me, things will get better for them. I surely hope so. To the “commentor”, find a good charity to help, build a Habitat for Humanity house, learn to play a new instrument, paint a picture, accept the faults of people who you love and figure out ways to forgive them. Don’t hang on to disillusions. Don’t think the world is wrong, simply because you feel awful. There are pretty places and tiny wonders waiting to happen and be enjoyed. I feel terrible for the person who was so obviously seeking out my advice with their expression of bitterness; the obviousness of their identity is apparent. I really do feel bad for them. 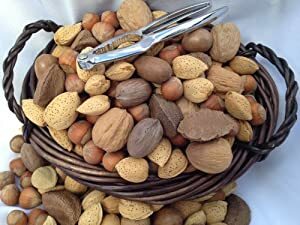 To the nutty cluster, I want you to know, you need to stop your painful journey and find some peace with the sins of the whoever it was that put you in that place, be it your father or mother, or husband, or brother. You don’t have to dwell on it any more. It is over and there is nothing you can do about it. There will be a light at the end of the tunnel. Just keep movin’ forward. It will get better. If your parents or other people who care about you haven’t been able to tell you that, let me. It will get better. Gosh, all this nutty talk has made me hungry for some chocolate chip cookies with little morsels of pecans and a glass of cold milk. Oh, wait, isn’t it Girl Scout cookie time? Pecan Sandies might be better. Wait, wait, wait… Thin Mints is what I need, the name sounds perfectly dietetic. Do you recall my last blog entry, “I need an intervention?” If not, go back and read it. Well, it didn’t take long for my humorous guess to take hold. Would you believe around page 429 of The Scarpetta Factor a character of a bad nature was described as having “Hypertrichosis“, the Hairy Man Syndrome , like werewolf circus acts? I kid you not. If you recall in my last post, I asked what would come next in her splintered plots, monkeys with diamonds. If her books are worth publishing , my two hand scribbled books hidden on my library book shelves would be prize winners. It must not take much to become an author. For those seriously pursuing a career in writing , let this be a lesson for you. Anybody with a nose can write, and if by some unfortunate accident you have lost yours, consider it a blessing and grab a pen and get to work. Remember, if you’ve had your nose worked on, you can get extra points. When I run, for some reason, I automatically gain speed going up hills. I simply push harder to get to the top. Ok, Dr. Bill, why do I seem to have that impulse? When I read a really bad book, I keep turning pages hoping it will be over soon. I impose rules like , if I hate the book in a 100 pages , put it down. But I simply cannot make myself stick to that rule. The Scarppetta Factor is the most ridiculous attempt at a mystery or crime novel ever written. I am on page 398 and there is no rhyme or reason this book should have ever been thought of as a story; it is a complete waste of paper. In fact, I will go further, the alphabet was savagely mauled in the book’s formation. I cannot think of one reason for this book to exist except for critics to pan it. Sometimes, I am a book snob. I wanted to prove to myself that I could read a pedestrian book. Admittedly, every once in a while, I will pick up a book to find amusement and laughs, such as the Janet Evanovitch works, or the Celia Rivenbark essays. (I actually think those are fine pearls of current social commentary, LOL) You all know I decided to read Les Miserables and despite the 100’s of pages devoted to long decayed street scenes and doleful battle scenes which made me beg for a vision of a single blade of St. Augustine grass to break the drab browns that keep popping up in my mind’s eye, I enjoyed the whole darn thing. But, this Cornwell book , is so filled with gradu ( some spell that gradoux) that I expect to read of monkeys wearing diamond rings and snorting cocaine at any minute. What is with the kitchen sink approach to her work? What, she can’t afford an editor? Or is she so enamored with herself as a writer, she thinks her sentences make cohesive sense? The woman must be highly medicated. I am not even going to begin to explain the lunacy of her split plots. I have invested so much energy trying to find three complete, consecutive pages of interest, that I am probably only 150 pages until the misery is over. I feel that urge to hurry up until the end…. To reach that glorious mountaintop, the second when I can throw the book to the curb outside and watch the garbage man run over it and heavy traffic continues to pulverize it into dust floating off to an encounter a distant land. Will the scars remain? Will I ever get over this desire to read unwarranted novels? I need an intervention. Candy Crush has saved my sanity. When Republicans took to the media air giving us all their many reasons, which actually really only boils down to one, to explain the evils of Obamacare, I turned to Candy Crush. Yeah, that is right (one of the few times you’ll see me use that word). Candy Crush took my attention away from the realities of a Government Shutdown. Instead of reading about the poor Mom trying to find child care for her small preschooler, while she cleaned other people’s houses, due to her son’s teacher being furloughed simply because the Head Start Program couldn’t afford to keep her, I smashed me some hard electronic candy images. Who could possible forget Ted Cruz droning on for 21 hours and screwing up the meaning of our national treasure Green Eggs and Ham? I found my solace in combining four-of-a kinds that transformed into striped candy row annihilators. I love the little red kidney bean-shaped red ones that turn into big Red and White Crushers. Maybe it is because I am a Crimson Tide Football Fan, but I find Crimson my go to color. Green ones reminds me of English peas; they seem so Republican. Think about it, no one really likes green candy except those little old white-haired ladies who wear those little plastic hair coverers in the rain so as not to mess with their Texas Big Hair fresh from the Beauty Parlor, they love spearmint and sour limes. Eek. Republican are so fine tuned to the color of green, they even have a golf tournament that gives out Green Jackets to the Winners called affectionately, “The Masters.” They will do anything for the good old color of green, even deny sick children the ability to get cancer treatments at the NIH, unless strings are attached to the offer. “Gotta get Rid of AFFORDABLE health care at all costs,” says our Republican friends and their bench warming cohorts, the Tea Partiers. I bet they even like Green tea. Not a fan myself, it tastes a little like what I think the turf at Football Stadiums must taste like. Note to self.. Call Coach Les Miles at LSU and see if I am right.. there goes that word again. Candy Crush is a free little diversion that allows you to eat as much pixellated candy as you can crush in five lives. If you run out of lives , no worries you can spend good hard earned, real money and buy some more, or you can take the budget conscious way and ask friends to give you health. If they’re so inclined they will share with you, all except my Republican friends. Those sorry Meanies try to wait your urges out and force you to buy ammunition at the Yeti Shop, the Wal-Mart of Candy Crush Land, or what ever it is called where you can buy the candy hammers, false teeth or weapons of mass candy destruction , all for $3.99. Is everything a game to those people? You can hear their reasoning now for the Candy Crush Dental Plan. Look you won’t need to worry about anything. You won’t get cavities, you won’t gain weight, you can buy new lives, don’t ask us top 1%ers pay for your dental implants, you can buy false teeth; quit your whining. Heck you won’t even need Dentists because you can buy those little lollipop hammers and use them to bang out ‘cha of odontology. Now that is palliative care, if there ever was such stuff. Who needs a dental hygienist to clean your teeth with the Candy Crush Dental Plan? Thank goodness the Republicans didn’t come up with a plan of their own for healthcare. Oh wait, they did. It was called Romneycare. It all makes me want to line up all my little red candies and make me some chocolate sprinkle balls and find me some wrapped orange friends and bust a creme marshmallow or two. I need some strategy to break the bonds of the trapped candies, and move on to the next level. By the way, Ted, for your next public reading of bedtime stories on the taxpayer’s dime, how about Yertle, the Turtle. I can translate from the Pond if you need some help. To my dismay, I guess Harvard can even graduate a fool who doesn’t get irony or metaphor. All this is too sad to think about. Hope I get a Super Crush, I love to see those little jelly fish swim across the screen and eat up the ugly green things.